love, laurie: a last minute easter weekend trip to . . . walt disney world! a last minute easter weekend trip to . . . walt disney world! the last few months have been incredibly rough for us. we have been going absolutely crazy dealing with a multitude of bizarre situations, to say the least. by the time we hit the first week in april, we felt like we were loosing our minds. lately, we've been like two ships passing in the night since our schedules never line up with each other. a few days ago, we sat down to take a look at the calendar to see what easter weekend had in store for us when we realized that we were both actually off for the long weekend! i'm not sure exactly how that happened, but the stars must have aligned or something magical. we were both in such disbelief that the two of us actually had open schedules for the long holiday weekend. on a complete whim, we hopped online to see if we could plan a totally last-minute weekend getaway. we were limited as to how far we could travel since it would only be for a weekend and we didn't want to spend too much of our free time on airplanes. after throwing around several different ideas and agonizing over how expensive some options were, we joked about going to disney. we looked into it, found flights to florida that worked for us, found a hotel with vacancy, and decided to do it. before we knew it, we had booked flights, a hotel, and park tickets. i've never planned anything this last minute before in my life! it was a quick decision that lead to a whirlwind last minute trip-planning session, but it was the perfect cure to pull us out of our dark clouds. we felt bad missing easter dinner with our families, but we knew we could make it up to them another time. i've been to disney several times before (3 times as a kid with my family, and once more recently in 2012 by myself). ryan had never been to disney so it was perfect, especially since we've been talking about a disney vacation for years. today we're back from our trip and excited to see our fur baby who we always miss when we're away. we're planning on unpacking, doing laundry, and sorting through the multitude of photos we took. 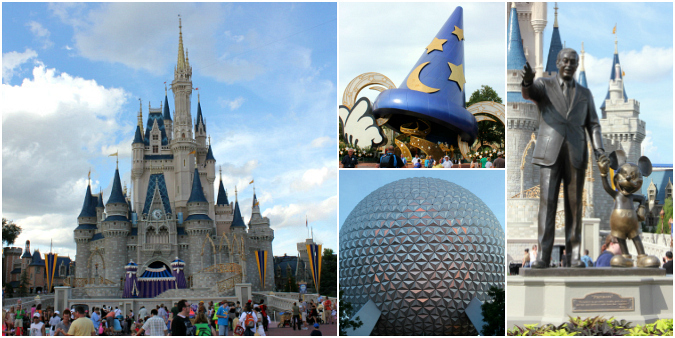 i can't wait to share lots of photos from our easter weekend in walt disney world! Can't wait to see the pictures. Glad to hear you had a fabulous time.